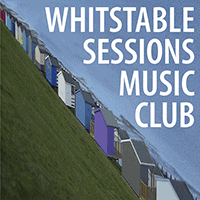 The Whitstable Sessions Music Club has been running since 2010 and is dedicated to putting on unforgettable shows featuring the best folk, roots, Americana and other acoustic music from here and abroad. Previous sessions have included Kris Drever, Boo Hewerdine, Mary Coughlan, Geoff Muldaur, The Small Glories, Mary Gauthier, Kathryn Williams, Steve Tilston and Jez Lowe, Iain Matthews, Birds of Chicago, Sam Lee and many more. Our venue is St Mary’s Hall (part of the Umbrella Centre), Oxford Street, Whitstable. It’s a lovely, and slightly quirky, ‘village hall’ style venue. A bar is provided by local micro pub The Black Dog and food is available downstairs before the session at the Umbrella Café. Doors / Bar open at 6pm with music starting at 7pm. Membership is £10 for 12 months with members getting a £2 discount on their ticket. Please just come and see us next time you attend a session if you wish to join.